As the result of a chance meeting, aging U.S. Marshal Alistair B. Taggart recruits middle-aged blacksmith John McKinney as his deputy. Out of the marshal's final act of mentoring, a steadfast friendship develops between the two men. Six years later, the elderly Taggart is eyeing the end of his career as McKinney settles into his new job as sheriff of Winfield, Kansas. The quiet McKinney regrets missing out on helping his eighty-one-year-old friend tame the frontier in its wilder days. 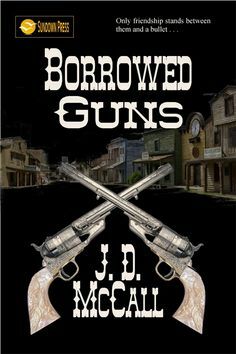 But fate often lays bare the foolishness of regrets, and Sheriff John McKinney is about to face the biggest challenges of his life, both of which hold life and death consequences for him and Marshal Taggart. Only friendship stands between them and a bullet.